Before 1848, most of the cantons issued their own coins, and there are a variety of different denominations, including ducats, duplone, ecus, pistolet, goldgulden, fran ken and multiples and fractions of these. 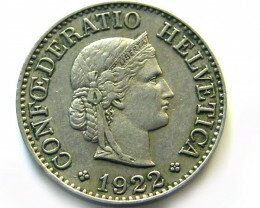 The coins of Switzerland illustrates its varying fortunes. 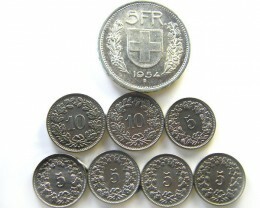 First there was the gold money of the Merovingian kings, among whose mints were Basel , Lausanne , Saint-Maurice-en-Valais, and Sitten pronounced as Sion. 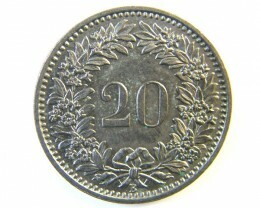 The dukes of Swabia began to strike at Zürich in the 10th century, and the empire from the 10th to the 13th century granted the right of coinage to various church foundations. 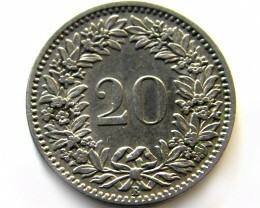 Bern was allowed a mint by the emperor Frederick II in 1218, and other towns and seigneurs subsequently gained the sam e right. 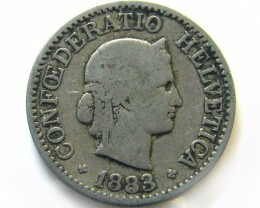 The demi- bracteate appeared about the middle of the 11th century, and about 1125 it was superseded by the true bracteate, which lasted until about 1300. 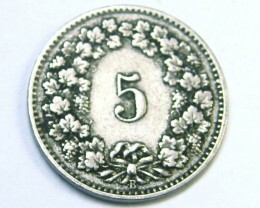 Bracteates were lightweight silver coins so thin that they bore only a single type of design on the reverse of the coin, for which a special technique with the use of wooden dies was devised. 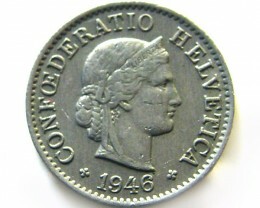 The Swiss Confederation developed in the 14th century, and by the quantity the cantons struck their own money. 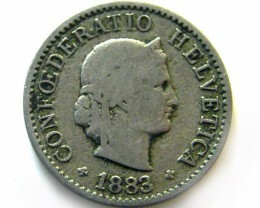 These, together with the coins of some few sees and abbacies, formed the bulk of Swiss money of the medieval and modern periods. 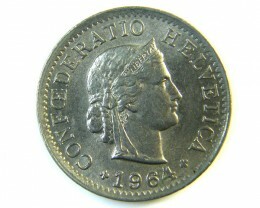 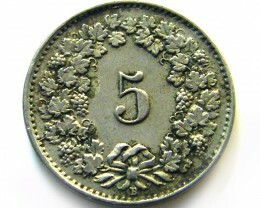 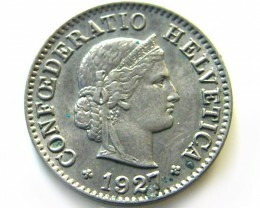 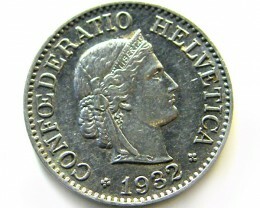 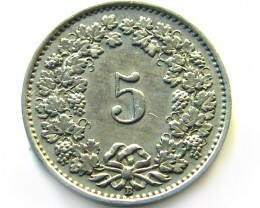 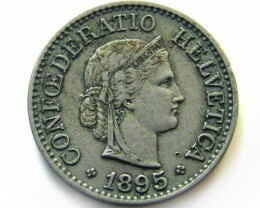 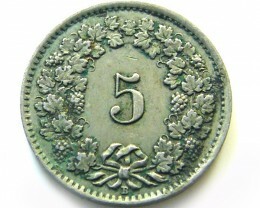 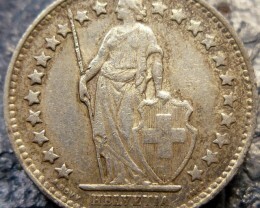 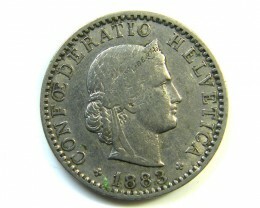 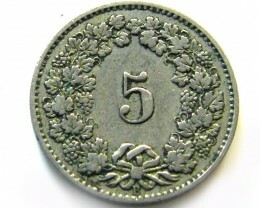 The cantonal coinage, interrupted by the French occupation, was suppressed in 1848, when a uniform currency was adopted. 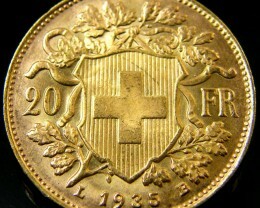 Switzerland is famous for the gold stored in its banks. 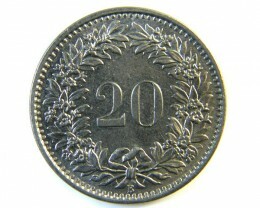 Its best known gold coin is the 20 franc which was issued from 1886 to 1949. 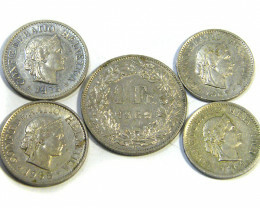 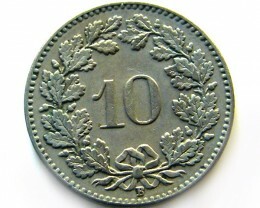 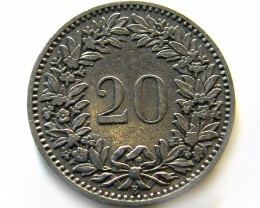 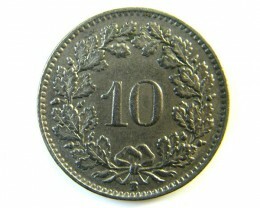 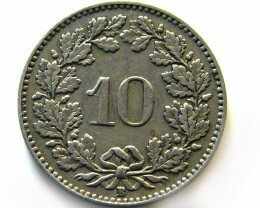 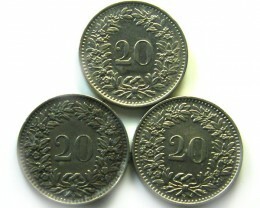 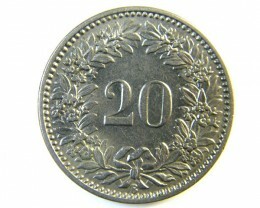 Ten franc coins were also issued from 1911 to 1922, although these are not seen as frequently as the twenty francs. 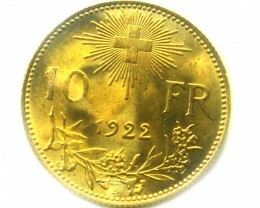 Gold coins of other denominations have also been issued, but mainly for presentation purposes rather than for circulation. 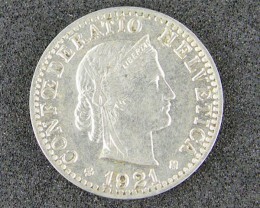 The mintage is very low for these other issues, and they are rarely seen. 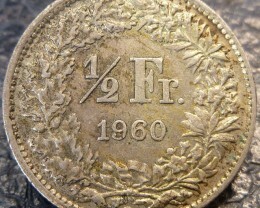 The Swiss hold traditional shooting festivals, and issue cantonal coins which we believe are issued as prizes, while these all near a denomination, most are not of legal tender, but in any case are all rare, the mintage often being from under a hundred up to a few thousand.